It doesn’t have to be this disorganized, there is a better answer. An ERP system. Here are a few ERP system factors that you should look for to make the switch over. The biggest thing you should consider when choosing an ERP database is will it work with your company’s goals and objectives. The objectives are different for every company but here are a few things for you to consider. But don’t get that list lost in mountains of paperwork. You need to actually review it. Make sure you do this even if your current process is using an outside system like a spreadsheet or whiteboard. Don’t pay extra for features that aren’t needed. The most expensive option is often five times the cost of the least. Some companies do need the advanced functionality that comes with the higher priced option, but don’t automatically assume that you need to have it. If your criteria aren’t as complex, why should you pay more for functions that you’re not going to use? When shopping around for your system software not only should you look for one that is in your budget but one that will also adapt the best with your company. Good reports can let you know what’s working and if you’re not making the mark when it comes to sales. If you pay attention to it, you can alter your approach to fix the issue. When you’re picking a system you will need to think about who on your team will be using it. Who will be good at making the necessary changes to the system when the time inevitably comes for it? The answer to these questions will be a huge deciding factor for the success of your projects. It’s because of this that you need to make sure the system you choose is easy to use. It needs to have a functional user interface, but we’ll get into that a little later. Experts in the software tend to take less time implementing it. You have to do a little more research if you’re buying it from a reseller. Check out reviews and see how they approach implementing and if their projects were delivered on time and on the right budget. It’s important to have the ability to access the CRM and the entire software from anywhere to have all of the data up-to-date. You need to be looking for a cloud-based solution when making your choice so your project can keep going anywhere at any time. The ERP database will be helping you manage all aspects of your business, so you’re going to want it to be user-friendly. This means that you won’t have to learn where everything is each time you use a different part of the software. 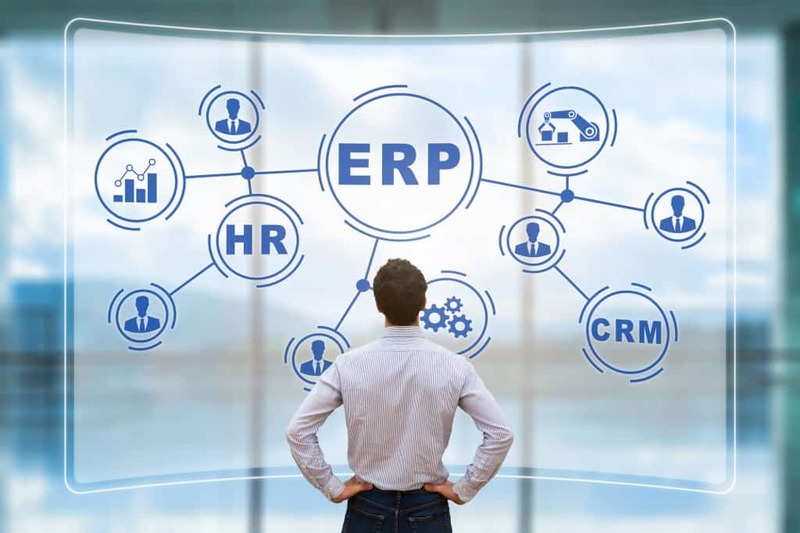 These are a few ERP system examples that you should be looking for when choosing which one will be best for your company. It should be easy to use and go right along with the goals you set out to meet. Every company is different, which means that what might work for one company might not work for yours. Take your time to do your research and find what’s best for you. If you’re ready to start looking for a system schedule a demo to see how we can fit into your company!